Why are FinTechs causing headaches for traditional banks? Their cost base is significantly less as they leverage the internet for front-to-back operations. FinTechs provide online personal loans, revolving lines of credit and other financial services instruments without the cost, inefficiencies, and time-consuming processes of traditional banks. 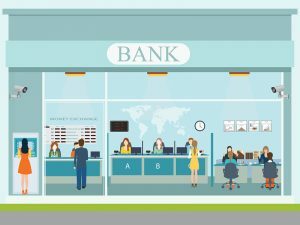 If you go in to a traditional bank to get a loan, you just walked in to a building that costs, on average, $2.5 million to erect, not to mention the labor, utilities, insurance, and other costs required to operate the branch building. Someone has to pay for those costs and it is most likely you, through higher APR, origination fees, etc. on your loan or line of credit. And, if your FICO score is not where you would like it to be, you’ll be shown the door! SweetPay is both proud and excited to be part of this growing industry.